Aalayam - Colors, Cuisines and Cultures Inspired! : Holiday Gift Giving Guide! I am back, after a brief, crazy action and drama filled, sabbatical from Aalayam! Thank you Deepa for holding down the fort in style, while I was away! I see that, we are 348 members strong now. I am looking forward to seeing the number of niche followers of the Aalayam family grow. Its humbling....and exhilarating at the same time to see Aalayam obtain critical mass in the blogosphere. Now that everyone is working off their Thanksgiving meals, perusing once more through their Black Friday shopping bags, sipping on mulled wine (or hot apple cider, with a sprinkle of cinnamon - try it, its the best! ), listening to holiday music as they decorate their Christmas tree and finalize their holiday gift lists, we thought we had to bring you a list of our favorite gift ideas that we are loving this season! I myself have a houseful of people I am planning gifts for these holidays, not to mention co-workers, and best buddies from all over the world who deserve a lot of my love, fashioned as lovely gifts, hand-picked with love or handcrafted with endurance, packaged in style, and gift wrapped in timeless elegance! Now that's quite something isn't it! And we had to, had to, curate some inspiration right here in Aalayam!! 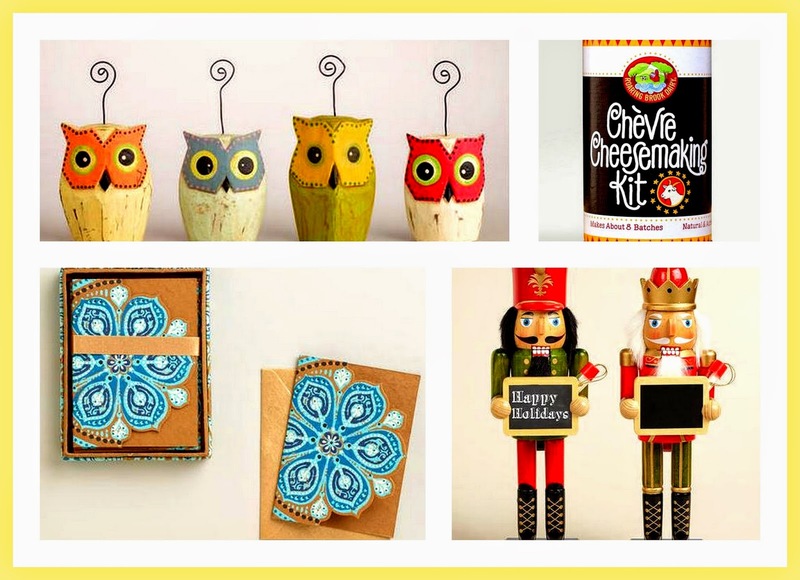 We've chosen an array of gear - home decor, fun accessories, jewelry and handcrafted chotchkies! Take your pick. Get inspired! I am sure there is something in here, that will excite you enough to either head to the store, or to your crafting table to create a unique giftable for someone you love! We've divvied up the curating into two lists: One from me - Supriya, and the other from Deepa. So here goes! Smart storage for the savvy shopper, and the modern day collector! Here's a practical, modest, yet gorgeous gift to start your list off with. Stackable Sprout-City-Print-Cardboard-Cubby-Bins for your favorite family that well....collects the mementos of everyday life! (trust me, we do!). Use them to store kids toys, clothes, supplies or even your favorite books. You just cannot go wrong when there is pretty storage involved in your gift repertoire! Or go timeless with stackable Hadley boxes. 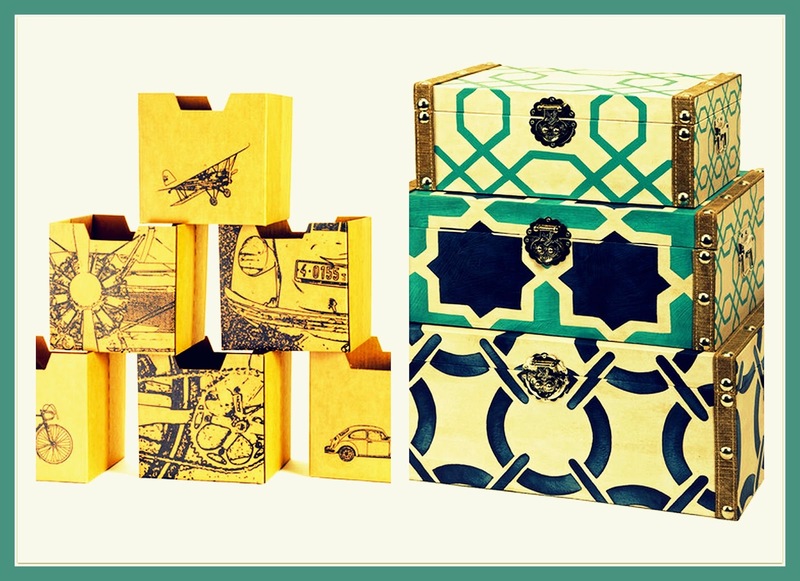 You could use these boxes as fashionable storage, and double them up as wow worthy side tables! Amazing did we hear you say? Shop online at Wayfair.com to get cheap,yet beautiful storage options like these! Funky vintage locomotive ornaments for the fun-loving friend! Bored a little of the shining tinsel, and glittering ornaments that are practically everywhere you see?! 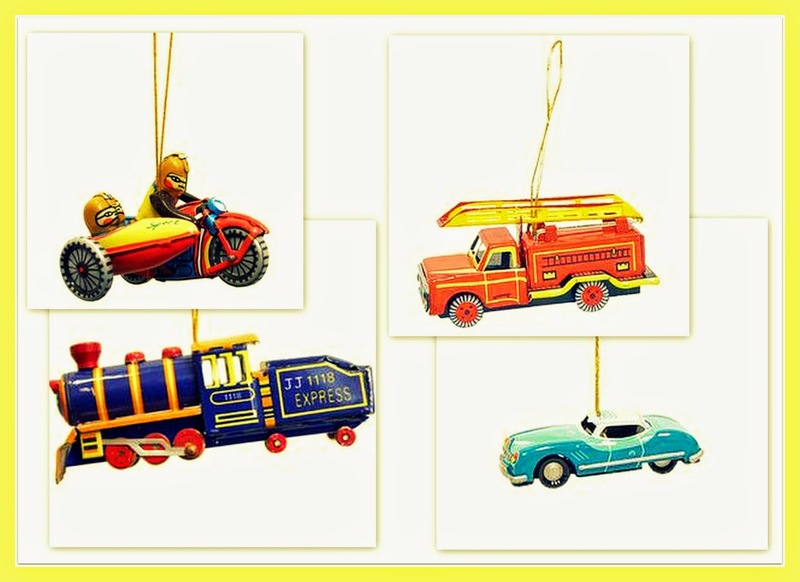 Turn then, towards some vintage story telling with these funky, tin car, firetruck, motorcycle and train ornaments to adorn your tree with. Perfect for all year around decorating too! Grab them quick, before they go away at Wayfair.com. Ethnic decor (for me!) and for the design diva in your circle! I will give anyone who'd give me a gift from World Market, the return gift of my lifelong friendship, and unwavering love! 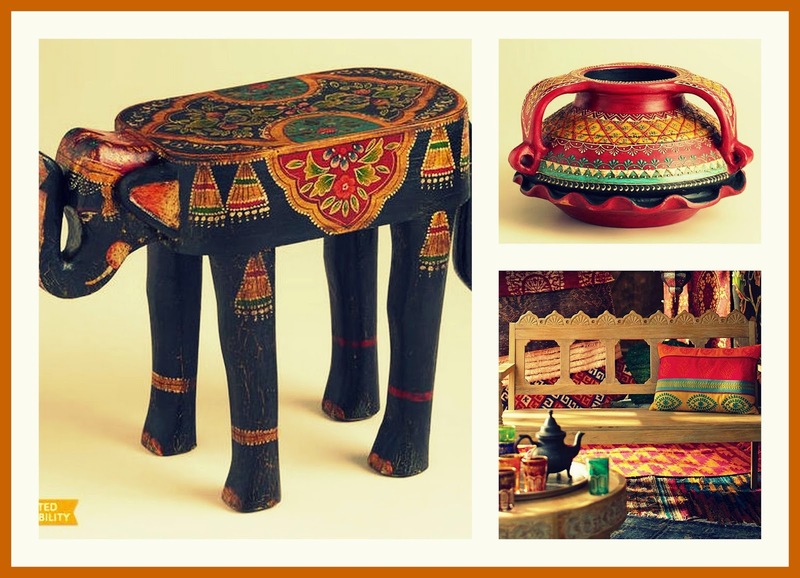 :) I absolutely adore these handcrafted ethnic decor items from World Market. I am currently coveting the elephant side table, and the gorgeous earthen urn, that can gloriously beautify any corner in any home! Consider a World Market giftable to someone who loves beautiful home goods, respects the concept of sustainable, handcrafted design, and appreciates world culture! Also check out the gorgeousness of the pillow covers, tableware, stemware and crockery! World Market has everything you need and more, for all budgets. A definite stop in my holiday shopping destinations! Eyecandy for the hostess with the mostess! More fabulous finds from World Market! (or any artisanal store for that matter, Sunday Soul Sante anyone from namma Bengalooru?) These eye catching owl card holders will impress the hostess who is elegance personified, by adding a quirky touch of whimsy to her stash of dining and entertaining chotchkies! Pair these card holders with handmade cards, and you have yourself a memorable gift option for under $20! Don't forget the Nutcracker chalkboard ornaments that you can personalize for the dinner table, or a cool Chevre Cheesmaking Kit to amp up the adventure quotient of the yuletide season! 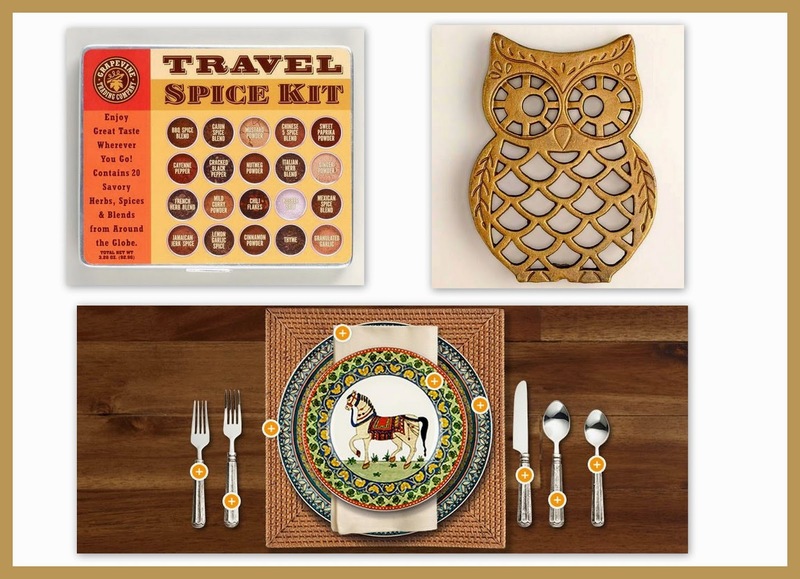 I also loved the Travel Spice Kit, and the Owl Brass Trivet shown below! The trivet specially oozes personality, sparks conversation around the dinner table, and you get bonus points for being the coolest gifter around! 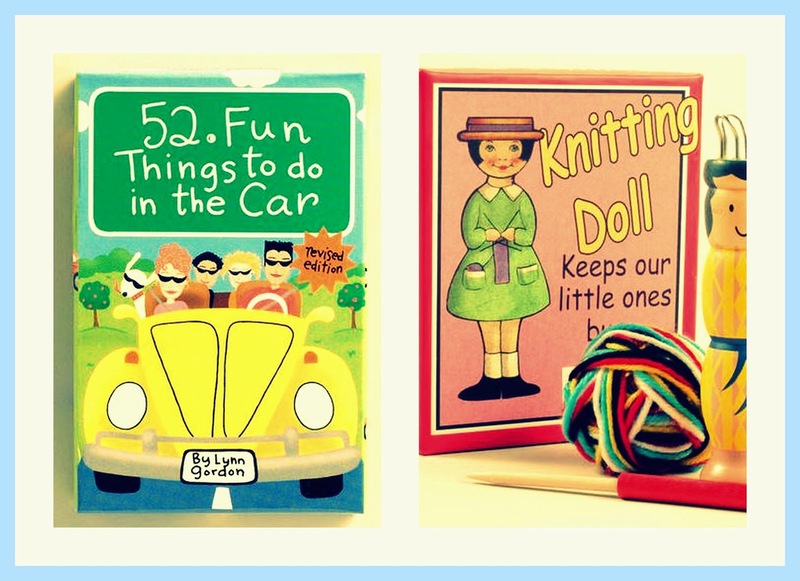 Vintage inspired games for the kids! 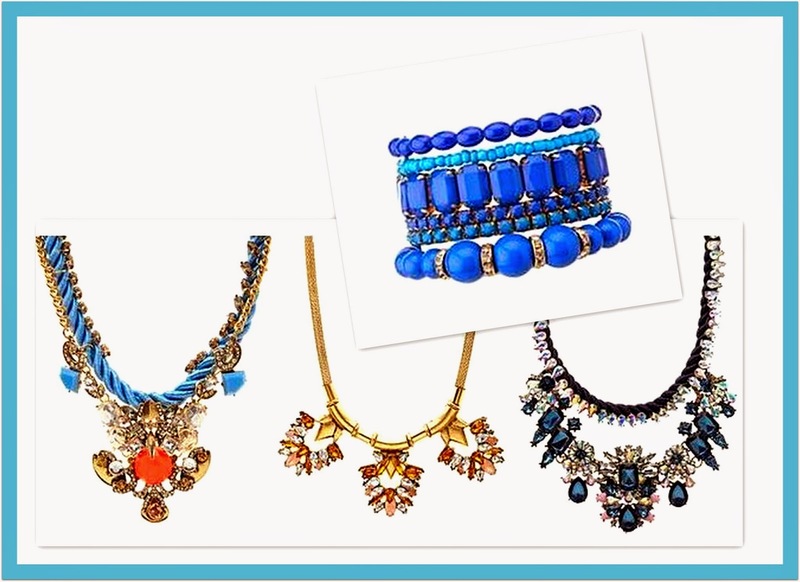 Jewelry and Personal Accessories for the cool fashionista! Aaah....now we are warming up! Charlotte Russe, Target, Forever 21, Zara, H&M, Nine West and a other retinue of fashion retailers get a guaranteed visit from me every year as I get ready to welcome my sister, cousins, my husband's cousins, my friends to our home over the holidays. You see, I love baubles and accessories. I worship the way a statement accessory like a necklace or a scarf transforms an architectural piece in your ensemble (like a plain white shirt, or a black sweater) into a stunning outfit option! Giving you oodles of confidence and charisma as you sashay around the holiday party lineup! Therefore, accessories are a MUST in my repertoire of giftables! 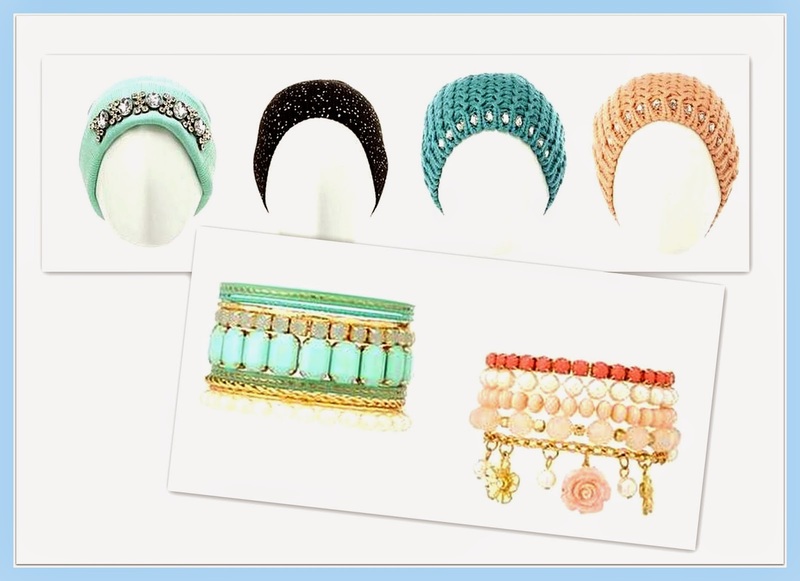 Feast your eyes on the necklaces, bracelets and bedazzled hats!! Every single item in the selection is less than $20, maybe even less that $10 in some cases. A sure fire way to score a fun infused, high-impact gift option, without breaking the bank!! Here's to girlfriends and sisters!! Handcrafted with Love! For the connoisseur in your circle. I realize some people LOVE to make gifts instead of buying them. I love that tradition too. But patience is a virtue, that is in short supply in my sizable list of virtues (ahem! ), so I take the easy way out and shop!!! But for those of you that love to make things, here are some cool ideas. Starting from gorgeous gingerbread cookies and peppermint hot chocolate, to a heart shaped wreath made of personalized wine corks, and hand-quilted home decor! 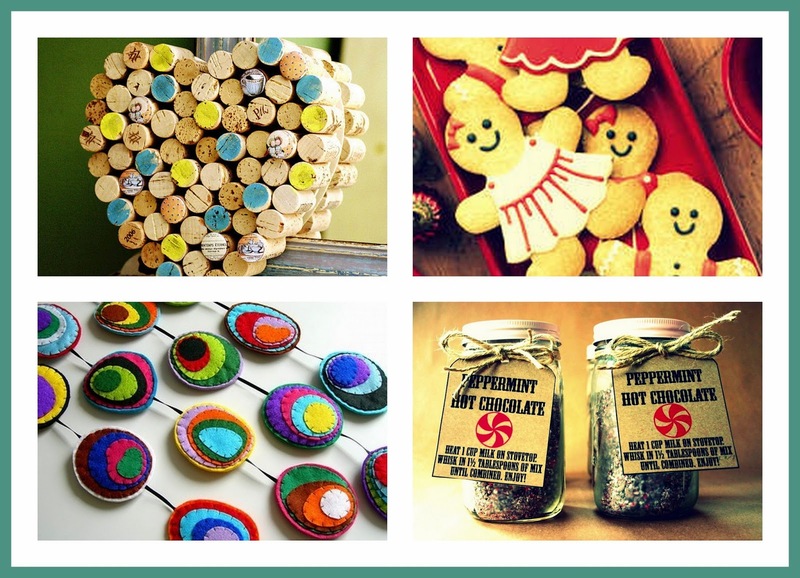 Heart warming and soul nurturing...With all the options for instant gifting in the holiday season, some part of me would be charmed if someone took the time to make something for me! Wouldn't you? Here's something more achievable. Semi-hand made if you will. This requires only assembly, no construction! Perfect for someone with limited patience like me! Consider putting together a bundle of love, a package of perfection for someone special in your life - mom, aunt, neighbor, husband! Like the adorable tea wreath, held together with love with wooden clips! Or the baking accessories packaged together in an oven mitt! Don't forget Indian Spices, packaged together in a ethnic Masala box! (Labeled darlingly!) or a heavenly assemblage of hand-made, organic soaps! Consider this seriously for self-gifting!! Go on! You deserve it!!! God is in the details! Here's to divine gift wrapping!! Finally, do not! do not! 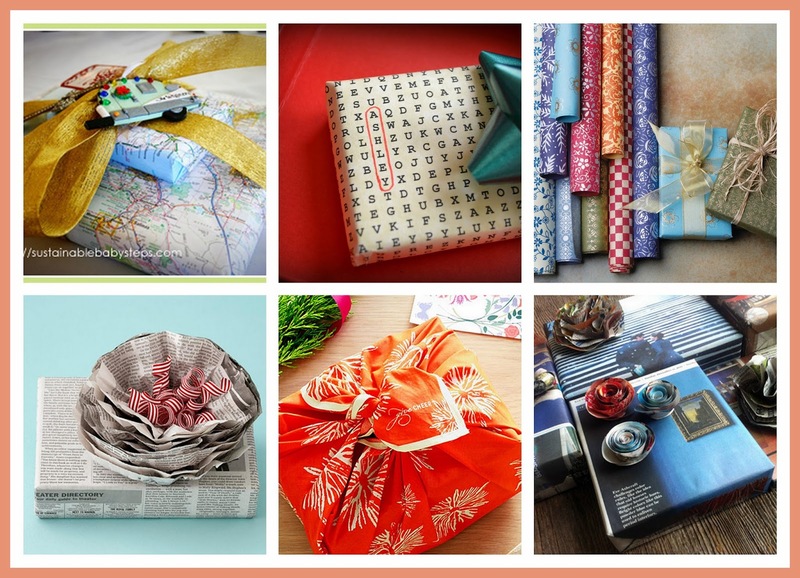 forget to wrap your giftables up in style!! Gift wrapping does not have to be in traditional gift wrap you'd get from the store. Consider options like maps, crossword puzzles, posters, comics, and scarves as alternatives to traditional gift wraps! They are sustainable (read green!) ways to reuse, recycle and re-purpose beautiful stuff that is often lying around in your own home! In true blue Aalayam style, Deepa curates some fantabulous finds for the world traveler, heavily ridden with Indian influences. 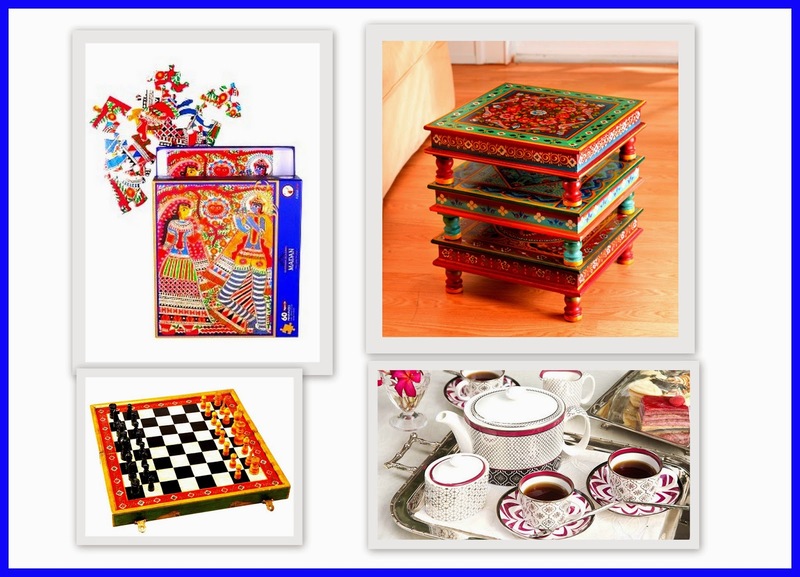 I am deeply coveting the folk art inspired puzzles Krishna Leela in Madhubani from Jaypore, and the Chess set from World Market. These games are perfect for those cozy family evenings, where we get together around the fire, with steaming mugs of hot chocolate (or any other beverage of your choice!!!) for memorable game nights! And the icing on the cake, or the cream on the hot chocolate, shall we say, is the quirky, ethnic glory of these games themselves. How about, we complete the montage with hand painted stacking tables from Signals.com, and a jaali patterened (bidri) tea cups in holiday colors from Good Earth India!! Resourceful, and colorful!! What more do you need from a blog post!? :) Let us know please if you need specific links to any of the items listed in this post, or help shopping for any specific special person in your life! We'd be happy to help!! Tableware and Edibles for the Eclectic! What a sensational ode to the party host, best friend or eclectic foodie, if they received something like holiday chocolate squares from Crate and Barrel, or gold toned baroque flatware from Hrochow!! Sublime aren't they? Also consider this option for tableware. 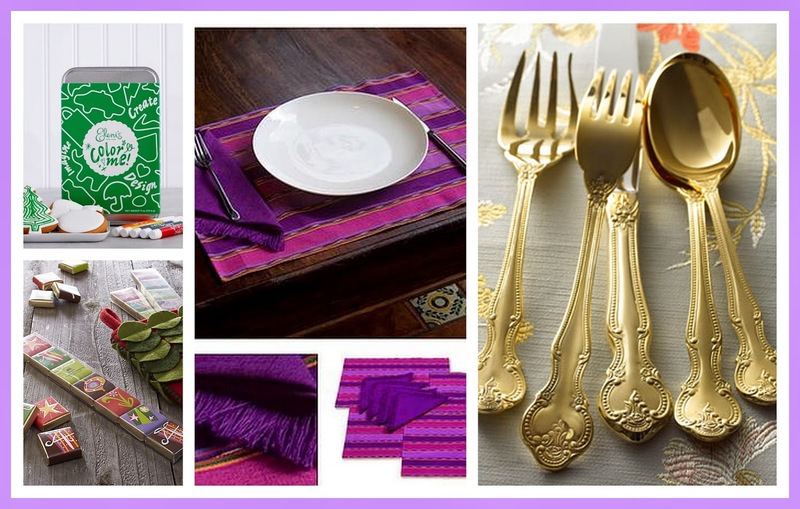 Handmade Central American placemats from Novica. Arty, Timeless and Vibrant! The fact that they are handmade, is a HUGE plus! Finally, to top off this round up for the eclectic, Deepa has handpicked Color me cookies from deandeluca.com. This decorating kit is a great option for a holiday party activity! Think, kids + fun + no clean up of messy icing later! Win Win Win! Don't forget the men in the group!! And, Thank you Deepa for sparing a thought for the gentry in our midst! With gift options for the savvy sartorialist, and cool paisley stationery, we are letting our men embrace and exhibit their style quotient to the hilt! 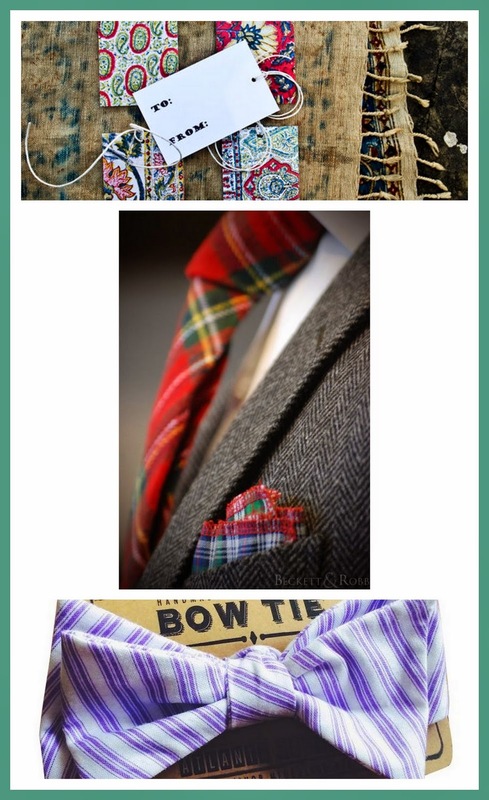 Here's a selection: A boyish lavender bow tie from One Kings Lane, Pocket squares for dapper dudes from Nordstrom, and some fantastic looking kalamkari stationery from Etsy.com! Finally, Delight the Diva (or practically anyone else) with chic couture for the home!! Don't forget coffee table books (or regular books, maybe even kindle versions) to inspire the divas (sure you can give books to bloggers!) all year around! Here's a coffee table book from Pottery Barn, for the design diva who has it all! And to top it all, for the love of writing, we proffer as a pleasant offering of Kate Spade pens. Funky, functional, and great for home and office. 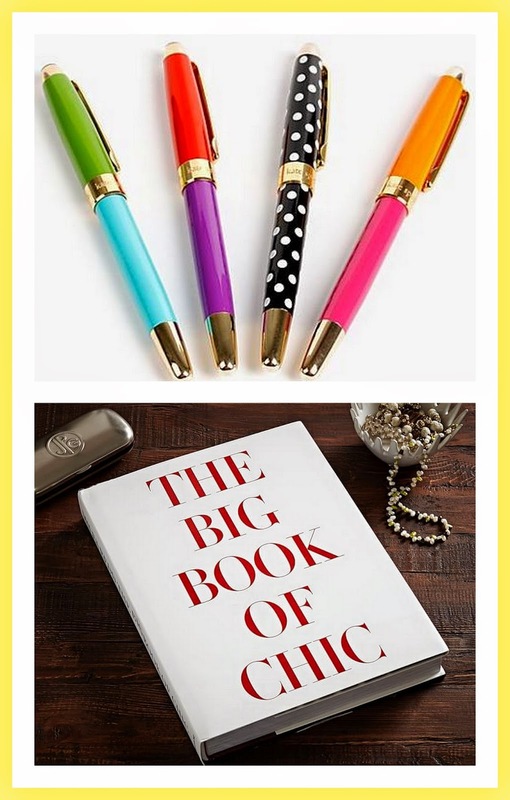 With color block and bling, these writing instruments are sure to be eye candy for the design queen in your life! That was quite something huh! As I wrap up this post, and head to the stores (yes!!!! 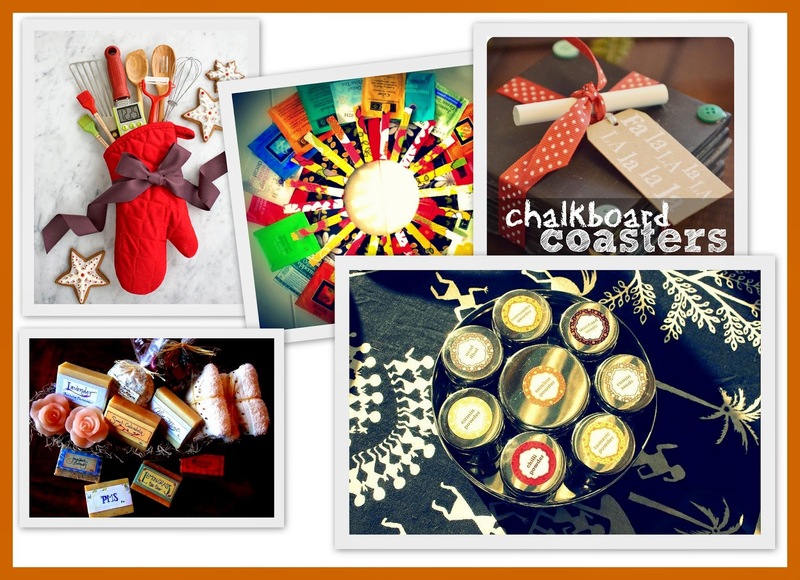 ), I hope we have inspired you to spread some holiday cheer with these gorgeous giftables. Remember, tis the season to spread goodwill, and love and friendship. So do consider spending time, and giving in kind to the needy and the lesser fortunate. But....... we also love splurging (albeit wisely) on unique, beautiful and global finds that make our homes and our lives textured, so...in true holiday spirit, we just wanted to share that excitement with you!! Hope this curated inspiration helps you gift away this holiday season!!! Let us know if you need any specific links, have any questions or need any suggestions to help find the perfect gift for your special people!!! Happy Holidays!